A few months back, I wrote a popular blog post here about all my tips and tricks for dealing with sports injuries. As I said then, I’ve put a lot of time and energy into finding the best ways to deal with being hurt and healing up quickly! But recently, I’ve shifted focus, becoming much more interested in the preventative side. Why didn’t I do this earlier? I felt helpless – like my only two options were to either deal with injuries or quit doing the activities I loved. Given those two choices, I figured I’d just deal with the injuries. Wouldn’t it be great if there was a third option, though? The option to do the activities you love and not get injured? I’ve always known people who managed to pull that off, and been very jealous. It seemed like my body was just injury-prone, and I was stuck with it. But then, amazingly, over the past six months, changes in my training routine lately have made me a big believer that there CAN be a better way. Pain is not actually bad thing. It’s a really, really important system. It’s your body speaking to you and telling you something’s not right. How can we learn how to listen, rather than just trying to make the signal go away? After spending most of my life trying to deal with injuries and pain, I had a critical mindset shift this winter when I was out in Los Angeles. I was staying with the amazing Drusilla Ray, and learned that part of her training regiment is working with a personal trainer to strengthen her rotator cuff area and prevent injuries. Dru is a complete beast and stronger than strong, someone I hugely look up to, so this set off a big “Aha!!!! !” moment in my head. I had tried basically everything out there to heal injuries, but had done very little as far as specific preventative strength training. As luck would have it, my massage therapist, who has up to now been the glue that kept my battered body together, is also a personal trainer. He had shown me some exercises in the past to try to strengthen the areas where I was chronically hurting, but I never kept up with them. After coming home from that LA trip, I decided to take it seriously, and asked him to start working together on a training regiment. My main issues have been elbow, shoulder, and neck pain. He put together a weights routine for me that focused on increasing shoulder stability and grip strength. I started in January, so it’s been six months of training at this point. I can’t say enough about the results so far. 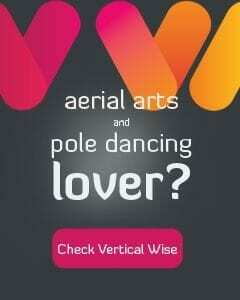 Almost immediately I saw an increase in what I was able to do on the pole. As I started to shore up the weak points in my body, just small increases in strength in those areas suddenly I meant I could access way more strength and power in the areas that I’d already been strong. The more I train, the more I realize what a huge effect these weak links were having on everything I did. And that is the message my body was trying to tell me with the pain, but I didn’t know how to understand it. Suddenly, now that my grip is strong, I’m actually holding on tight and controlling the force in my forearm, rather than hanging and constantly irritating my elbow, which led to my shoulder, which led to my neck. I’m not in chronic pain, and when I lie down on the massage table I’m not completely asymmetrical and misaligned. And I am able to do so much more with my body, as all of the muscles work together in unison like they’re supposed to, without a couple weak links dragging everything down. This isn’t to say that once you figure out what you need to beef up, you can throw anything at your body and never break… There’s still a need to add more difficult exercises to your routine gradually rather than all at once, and keep up with your stretching, foam rolling, and epsom salt baths. Why risk it? And there’s always the chance for just unlucky accidents – occasional straining and spraining will still happen to highly active people. Stop and rest early, and then don’t just wait for the pain to go away. Try to figure out what you can actually improve in your body to prevent it from happening again. Everybody has different weak links. The exercises that got everything up to par for me will not be the same for you, which is why working with a professional who can tailor a program to your specific issues is so essential. Last week a student mentioned to me how her chest muscle keeps getting re-irritated, saying that it seems like it’s the weakest link, while the rest of her is naturally strong and can keep progressing quickly to more advanced tricks. That conversation set off a lightbulb to me that the benefits of specific strength training should be more well-known in the pole community. I feel like I wasted so much time trying to “get stronger,” but really just continuing to strengthen where I was already strong, and continuing to stay weak and underdeveloped in my problem areas. By continuing to do what I was already doing, I was never going to break out of those patterns. Now that I’ve made real changes in my abilities, all I can think is, if only I’d tried to beast-mode up my grip strength years ago! I would have done so much more by now. Sigh. But it’s incredibly empowering to believe that I can actually fix the things that have been holding me back. Hopefully my story of trial and error can help some of you find your body’s full potential faster, with less time wasted in pain. Unfortunately, a few weeks after writing this, I did re-injure myself and re-aggravate my chronic tendinitis. 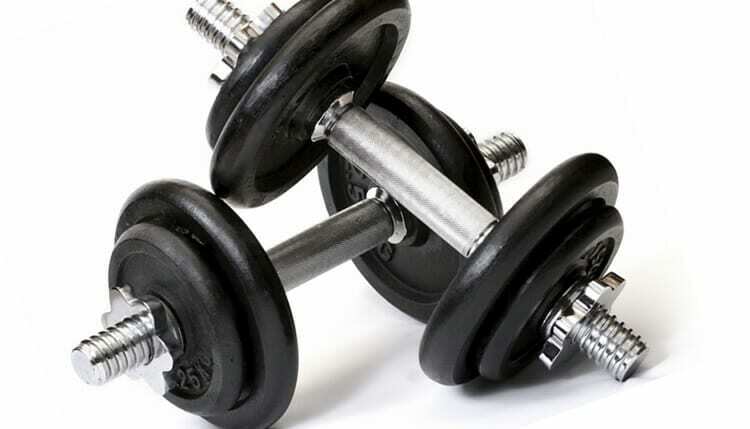 So one word to the wise: while strength training will get you amazing results, we still need to heed the rule of adding increased difficulty to our workout routines slowly and incrementally. Just because you are suddenly strong enough to throw a bunch of tricks that were not previously available to you, DOES NOT mean you can start doing them all the time. It takes the body some time to adjust. Especially with chronic overuse injuries, just because you’re not feeling pain initially doesn’t mean they’re fully healed. Here’s a great article about how we damage our tissues in overuse. So once you feel strong and ready, begin adding new tricks to your regime in moderation. I am seriously wishing someone had told me that – in the meantime, I’ll be here resting my arms and itching to start the cycle back up again, smarter this time. 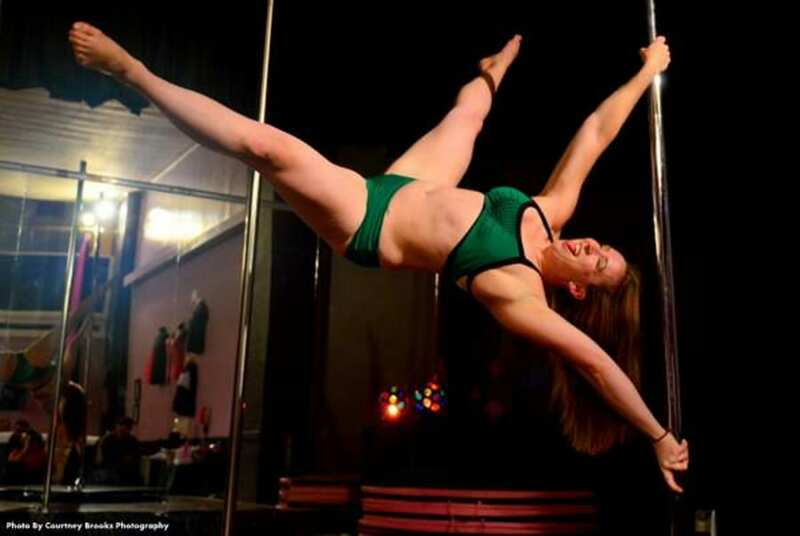 Liz Kinnmark is a pole dancer, aerialist, and yogi who loves teaching movement and transforming lives. 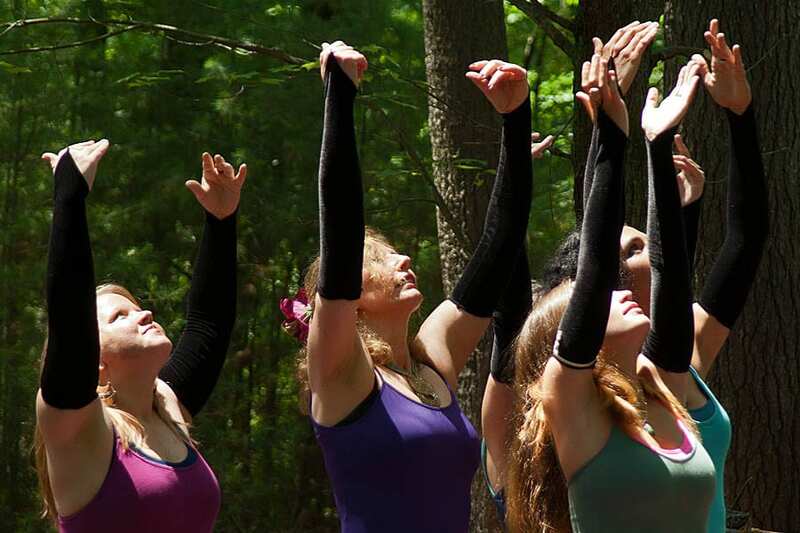 At a surface level, she teaches stretching and flexibility, but as any of her students who practice regularly can tell you, the ripple effects of these classes across your entire life will be enormous. Learn more at http://bendybeast.com.